Always in tune with the desires and preferences of their growing loyal following, Moving Colors is a people's band. This group plays danceable, melodic music with precision and solid rhythm. Veterans of the DFW club circuit, several State Fairs of Texas, Artfest, Montage and West End functions. Good music, good times, good business. 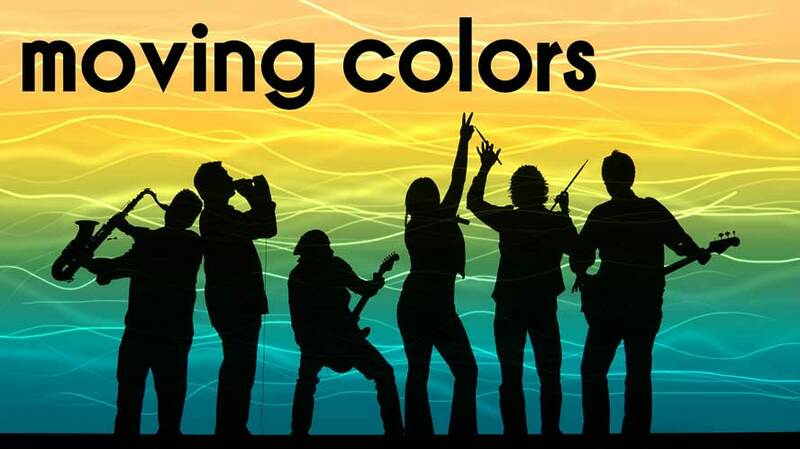 If you're looking for the entertainment for your party, corporate affair, reception or next function, and you want the sound tailored to your event, then consider MOVING COLORS! JUST A SAMPLE OF SONGS from MOVING COLORS BAND - Their perfomance repertoire is vast! Contact Carol Marks Music at 972-231-4091 for availability of Moving Colors Band.